Add all ingredients to a blender or Vitamix. Blend on high until dressing is well mixed & smooth. 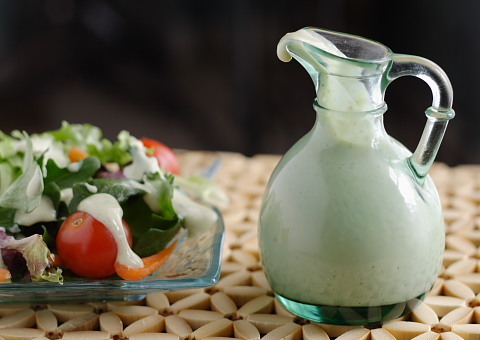 This dressing is so rich & creamy, with a nice zest from the basil & lemon! Awesome as dip for raw vegetables, tossed with raw kelp noodles, or poured over a salad. Enjoy!